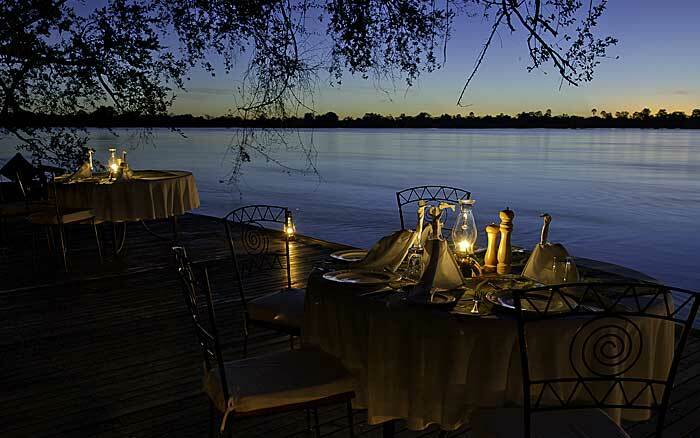 Tongabezi is an owner-run lodge near Victoria Falls providing top quality accommodation in a number of houses and cottages arranged along the banks of the Zambezi River. 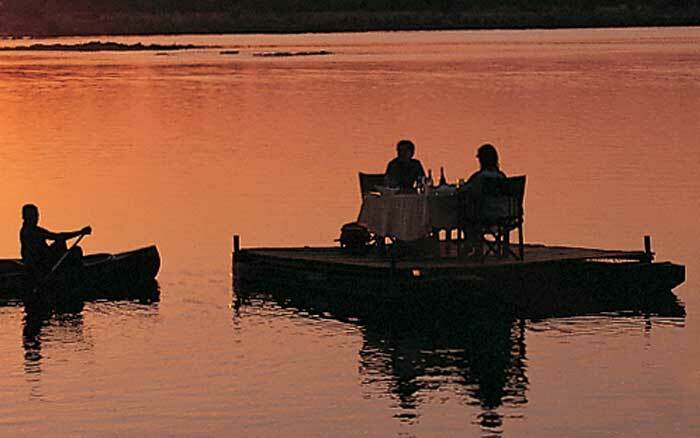 Candle-lit evening meal on a sampan floating on the Zambezi – meals delivered by canoe! 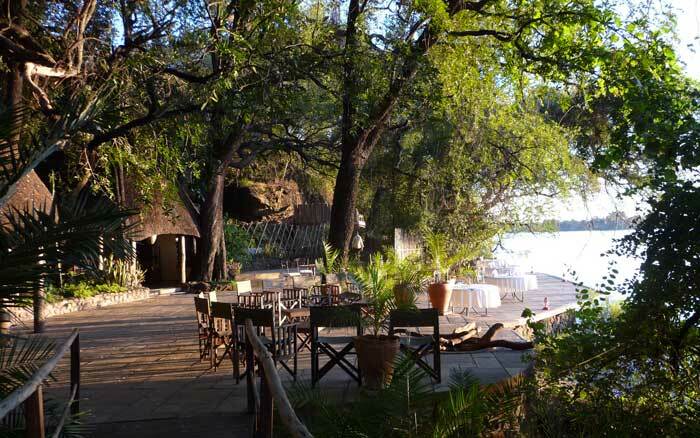 Tongabezi is an owner-run lodge near Victoria Falls providing top quality accommodation in a number of houses and cottages arranged along the banks of the Zambezi River. It has a casual atmosphere and a selection of decks and secluded spots where you can pass the time. 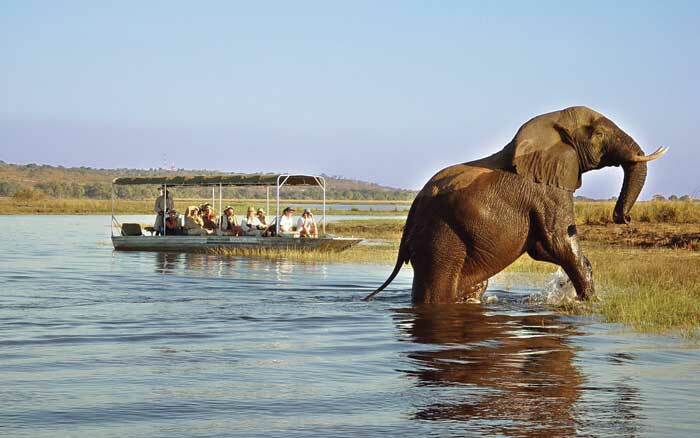 You’ll have no shortage of things to do, ranging from canoeing to sunset cruises, bush walks to mountain biking, and village visits to fishing expeditions, all included in your stay. There are six houses and five river cottages. The houses are open-fronted, with the bedroom leading out to the large deck, some with plunge pools, where you can sit and take in the views. 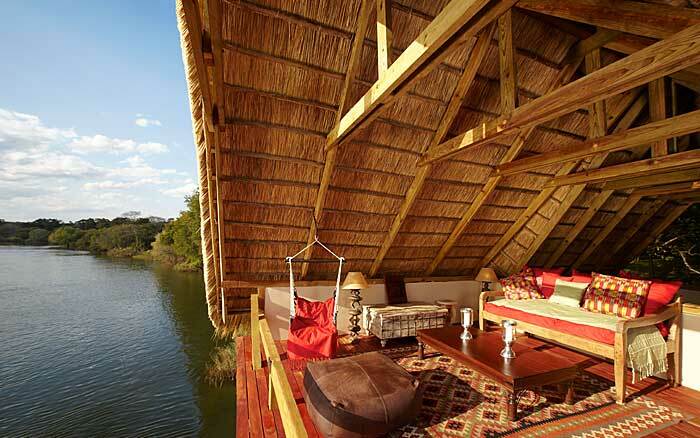 Interiors are spacious and feature local materials like wood and thatch, cooled by fans or air-conditioning. Bathrooms have showers and bathtubs for long, relaxing soaks. Two of the houses are ideal for families. 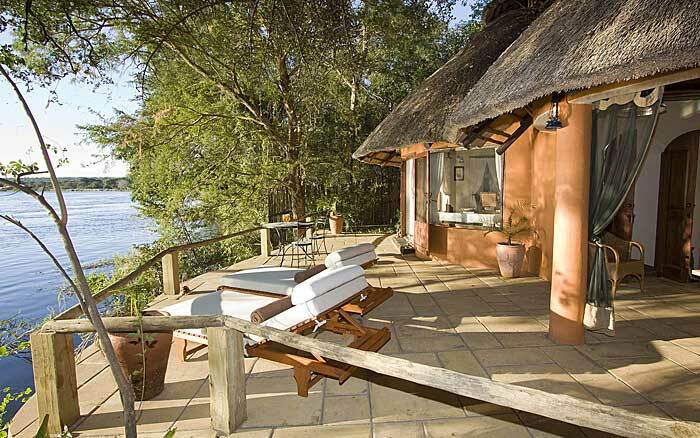 River cottages have similar facilities and are slightly smaller. They have mesh windows, so you can admire the views and hear the sounds of nature yet feel totally secure, perfect for those who find the open nature of the houses unnerving. Whether staying in a house or cottage you’ll have the services of a valet to make your stay special. 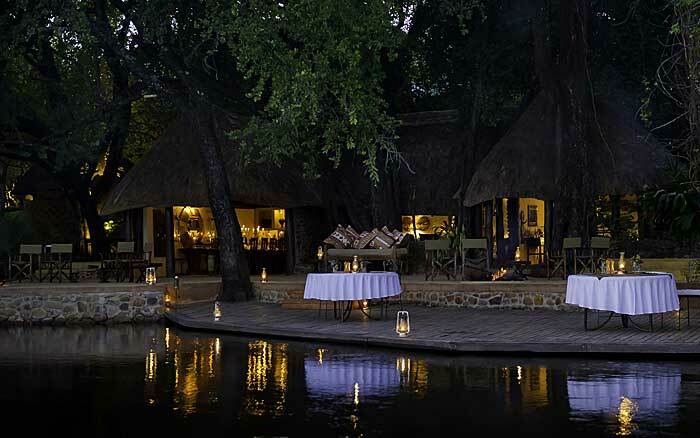 Dining is one of the great pleasures at Tongabezi. The chefs are mentored by Craig Higgins, a well-respected Scottish chef, and produce outstanding dishes based on fresh, seasonal food. The vegetable, herb and fruit gardens provide plenty of ingredients and food lovers are encouraged to take a walk here and tour the kitchen to watch the team at work. 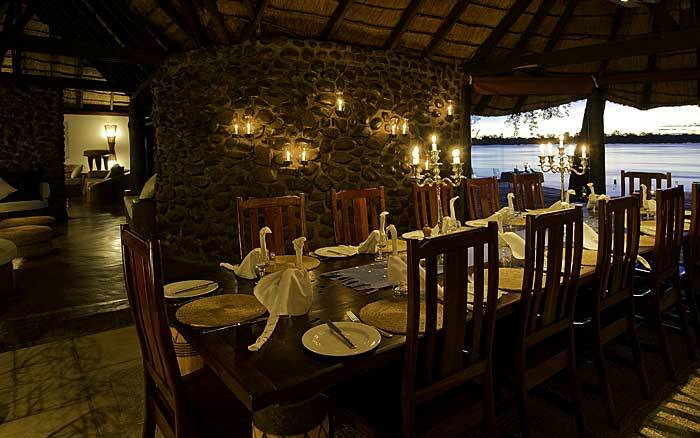 You can eat with other guests in the main dining area or opt for a private table on one of the many decks. For a special treat why not dine on the sampan in the river, each course delivered by canoe! 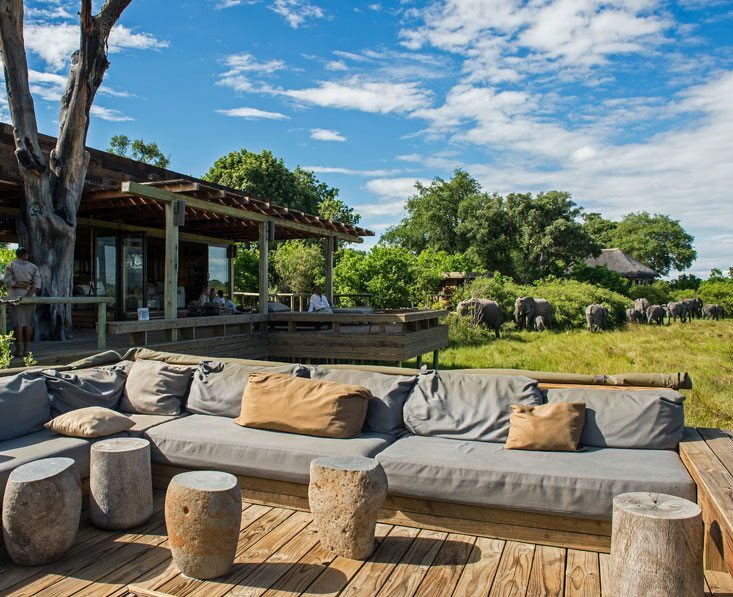 When it comes to relaxing you should head to the lookout, perched on a raised deck by the river, with a private dining area and lots of plump, inviting sofas. 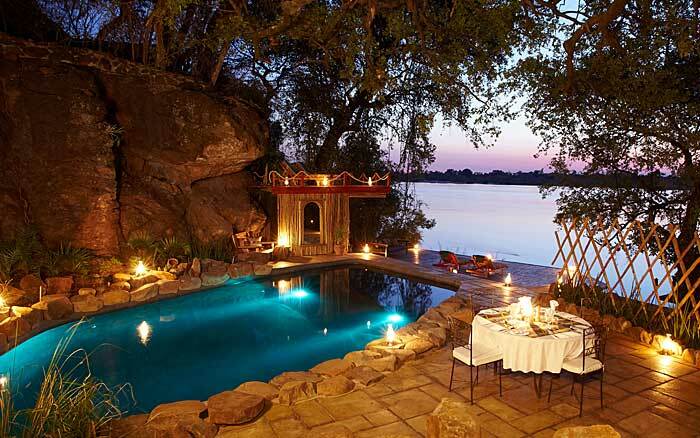 You can cool off with a dip in the rock pool overlooking the Zambezi. 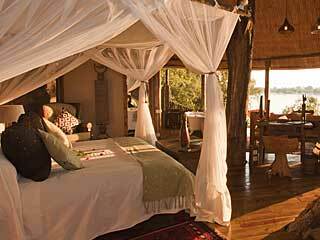 The accommodation at Tongabezi is spacious and opulent, designed with care and furnished with great attention to detail. Children aged 7 years and over are welcome. The garden and dog houses are ideal family accommodation.